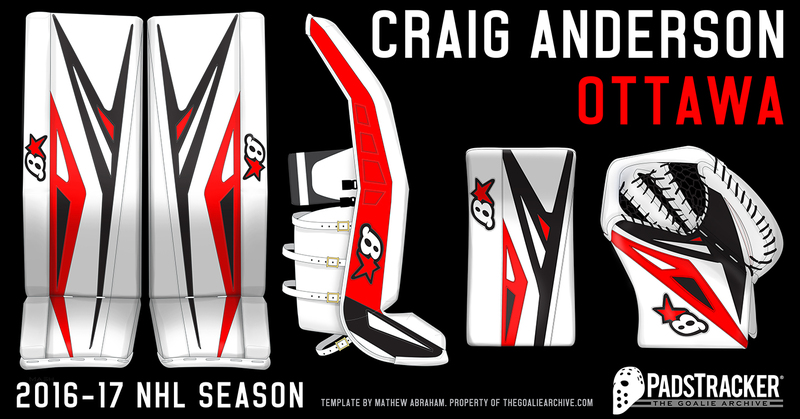 "Craig is a huge Corvette fan," Marsolais told InGoal via email. "As you can see on his previous mask[s], the Corvette is always on there! 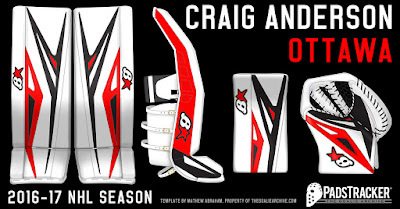 His demands were real simple: go similar [to] last year, but with the new Corvette model. 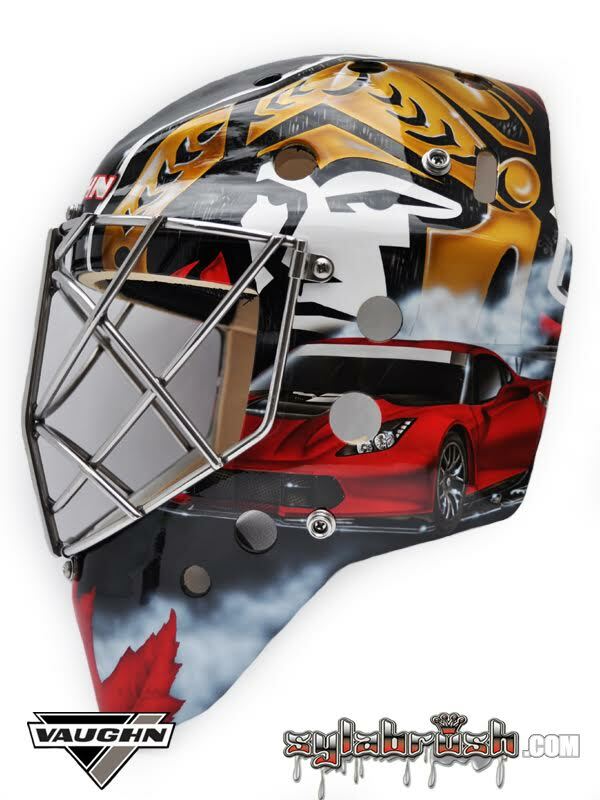 Then we suggested to put the C7R model--which has a more racing feel to it, and has a meaner look." 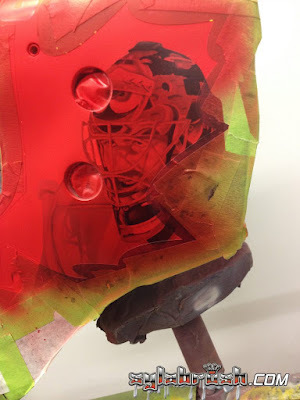 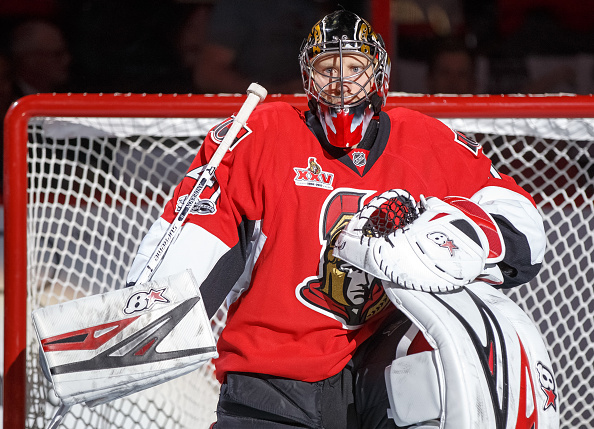 When Sylvie Marsolais of Sylabrush Airbrush set out to paint Craig Anderson’s new Ottawa Senators 25th anniversary mask she was really preparing to paint two masks. 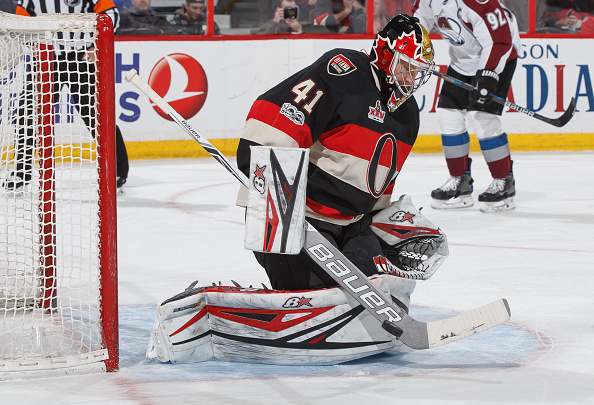 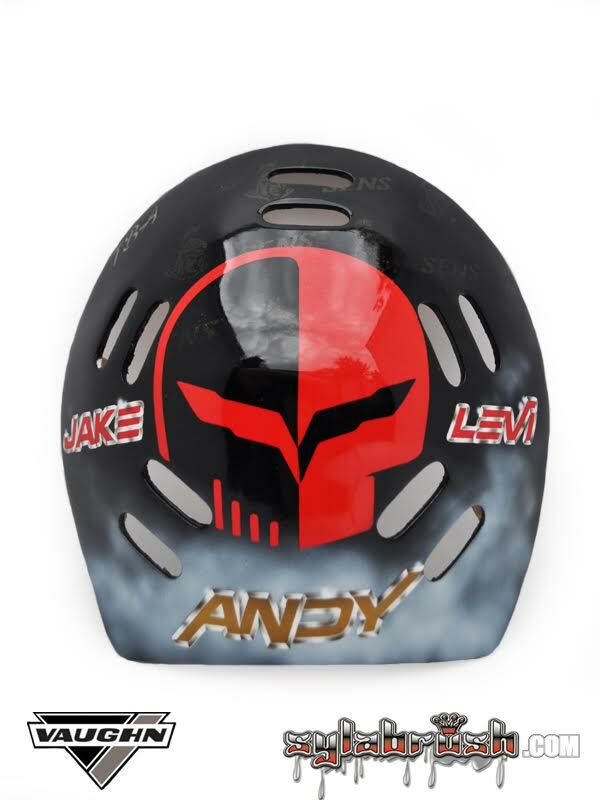 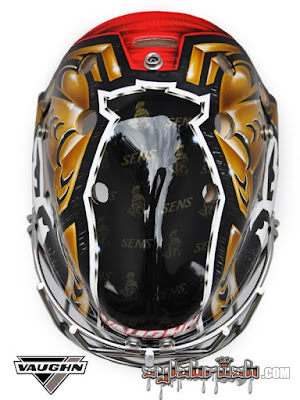 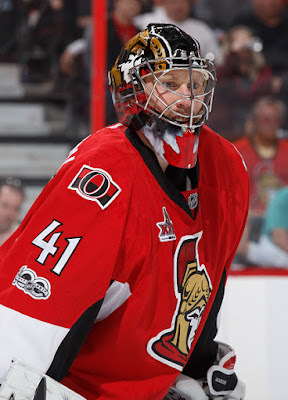 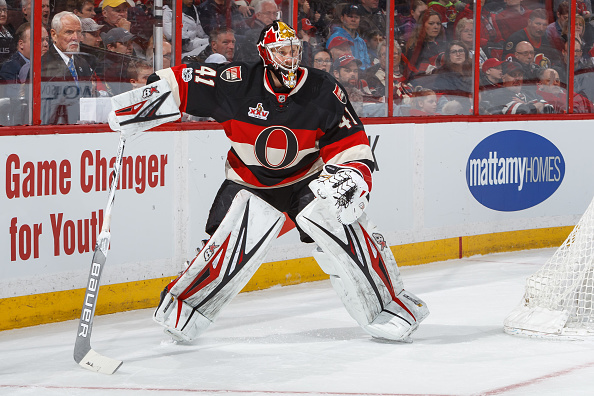 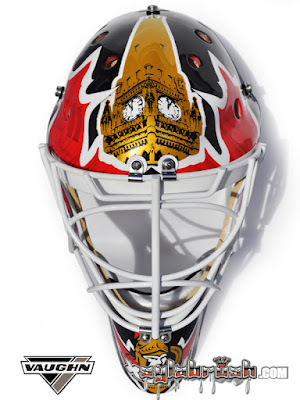 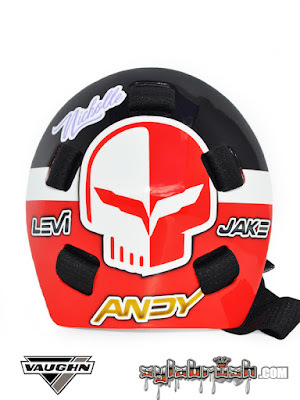 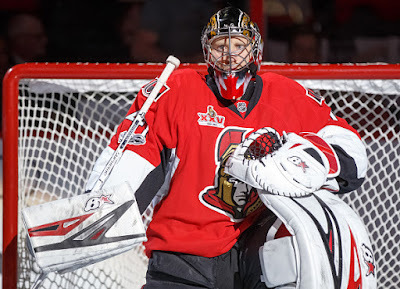 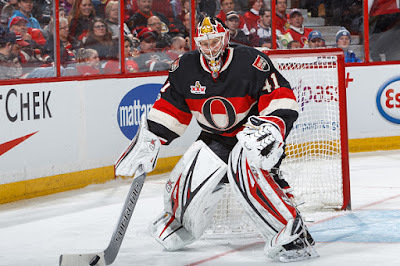 The first one is the mask everyone saw when Anderson first wore it on the ice, a more traditional replica of Damian Rhodes old Ottawa mask with tributes to Patrick Lalime and Daniel Alfredsson. 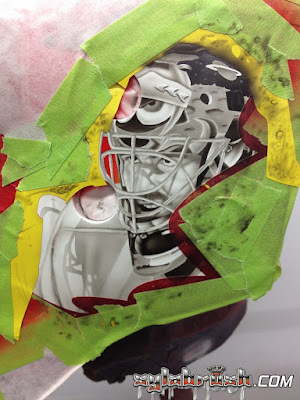 But there is another mask hidden underneath the black edges of that, under a layer of what Marsolais called “ghost paint,” that doesn’t come out until heat is applied. 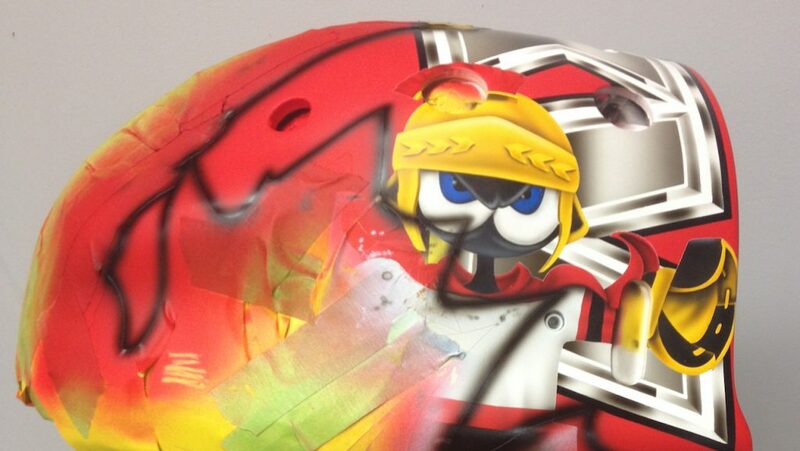 Hidden near the Lalime portrait is Marvin the Martian, who was a staple on all of Lalime’s masks. 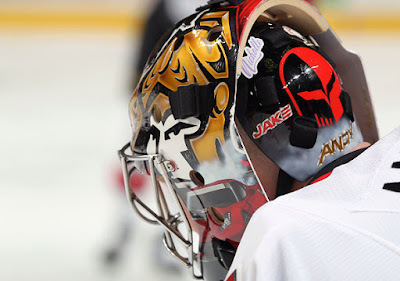 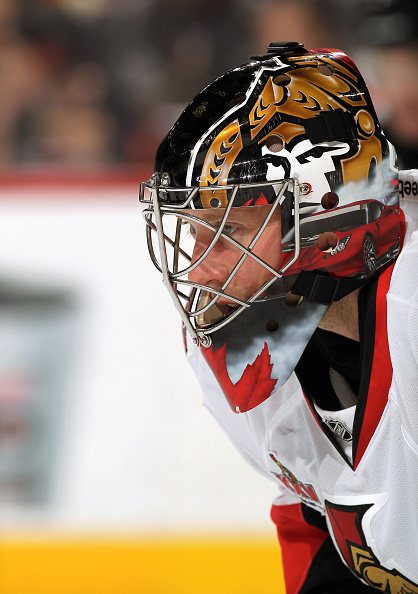 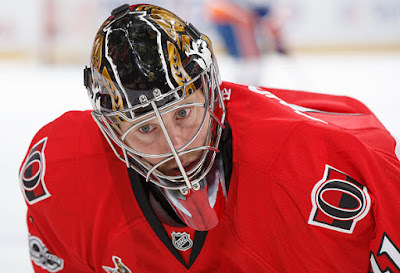 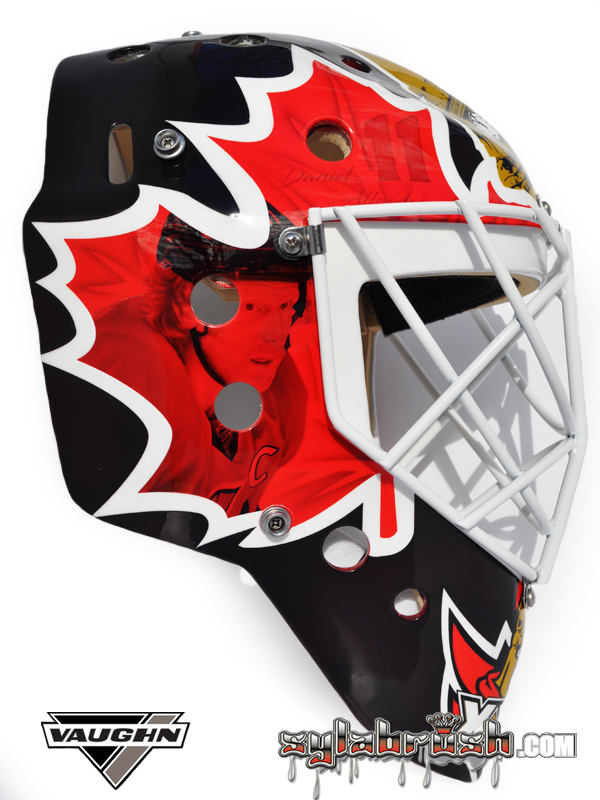 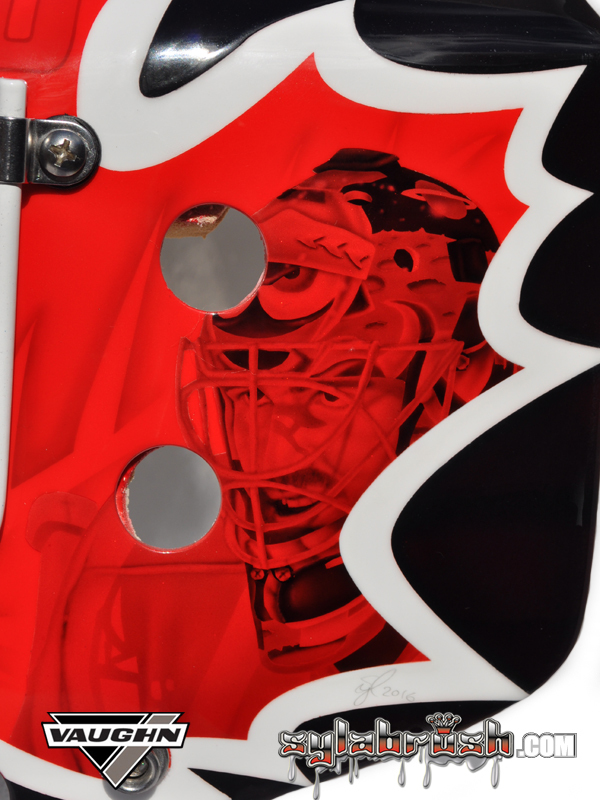 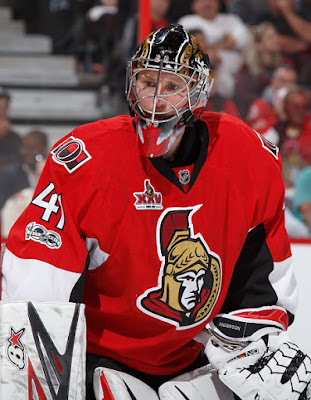 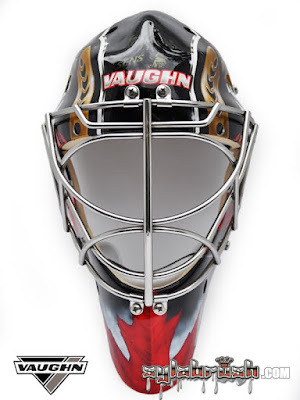 The Lalime and Alfredsson portraits are contained in a red maple leaf on each side that appears to be framed by simple black paint around the outer edge of the mask down to the chin. 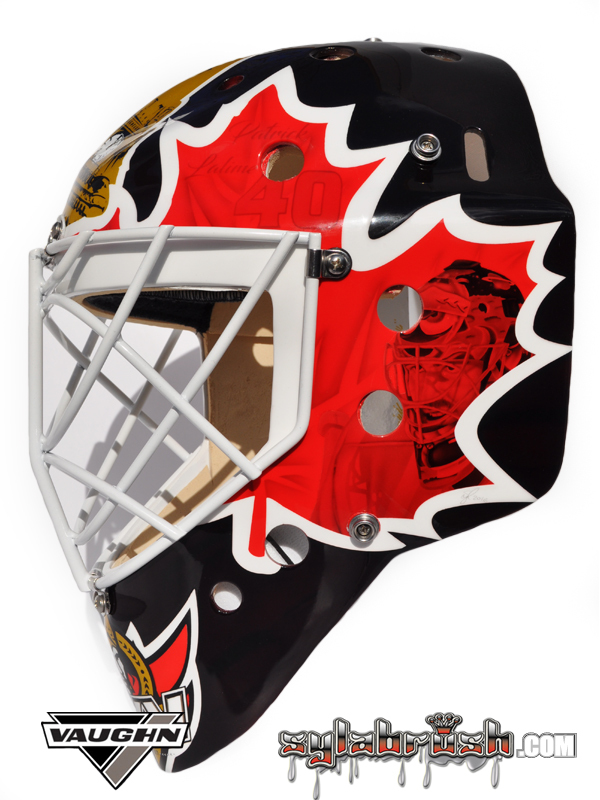 But when heat is added, the black fades to reveal another layer of detail underneath, including the heritage logo on top.